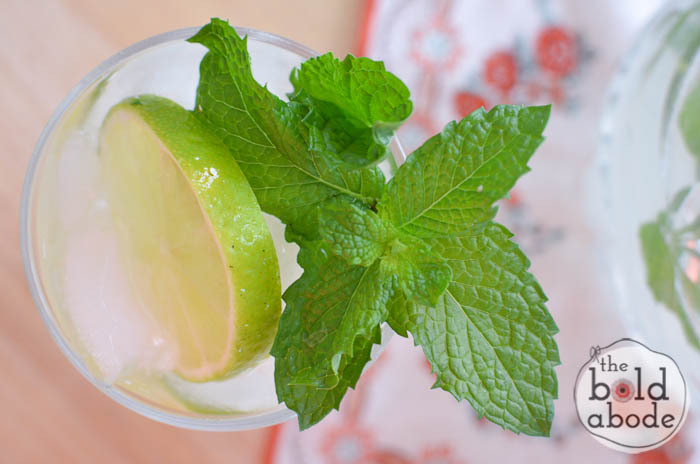 Did you know that the Mojito was originally a remedy for dysentery and scurvy? This recipe, however, is not necessarily made to treat any illness other than the one that tries to get me back to drinking Diet Soda. Oh, how I’m loving this alternative! 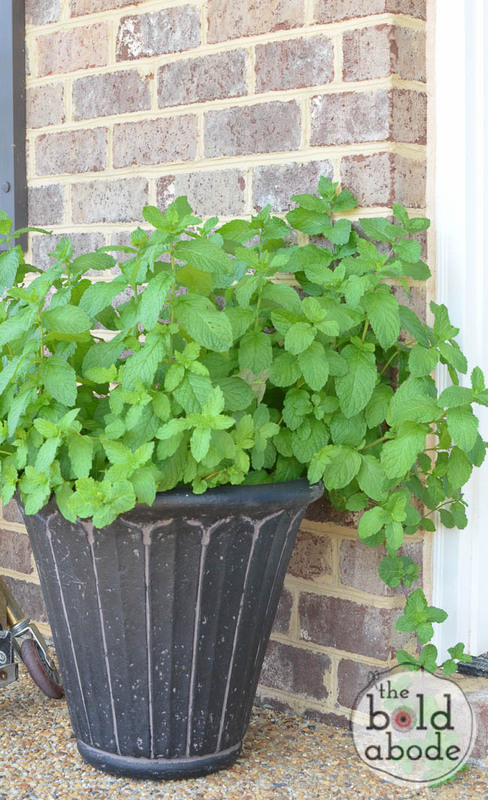 The best part is that I get to use some of my fresh mint from my big, front porch Mint Garden! I love running my hands through it when I go out on the porch… it smells SO good. But, I’m sure you are waiting ever so paitiently for the recipe and here I am going on and on and on about every thing other than that. My heartfelt, mint-loving apologies! The printable recipe is below, but here are my tips. 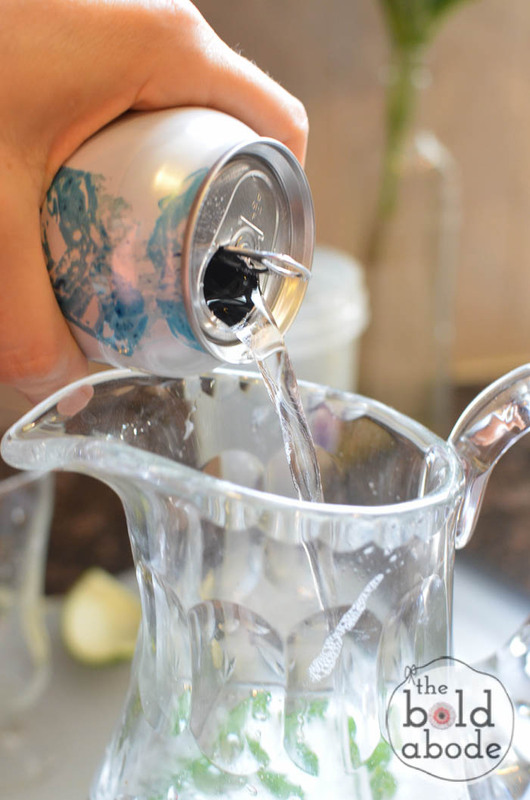 First, you’ll need some limes, mint, sweetener of your choice and sparkling water. First, juice your limes. 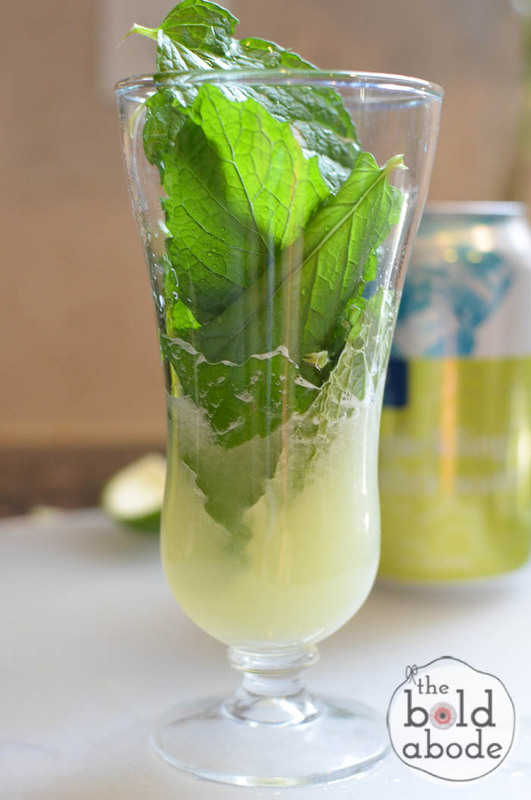 Then take a glass or bowl and “muddle” the mint with the lime juice. 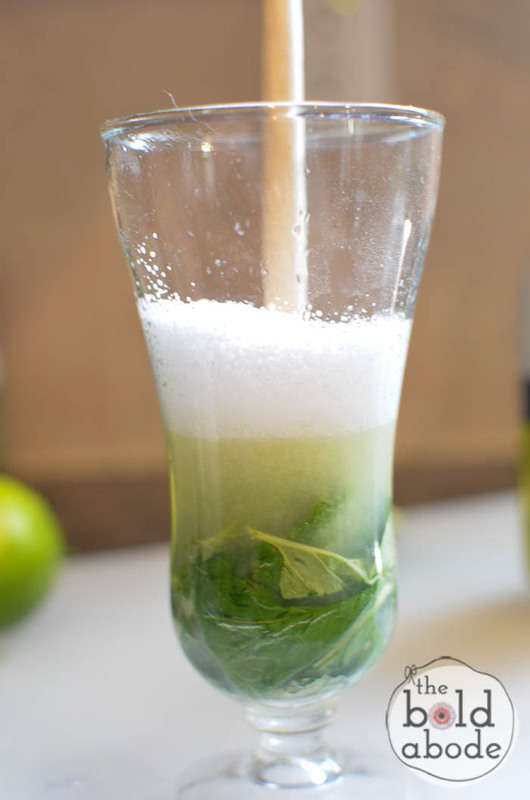 Muddling is just crushing the mint in with the juice to release those delicious, minty oils. Then add your sweetener. I use Stevia in the Raw. 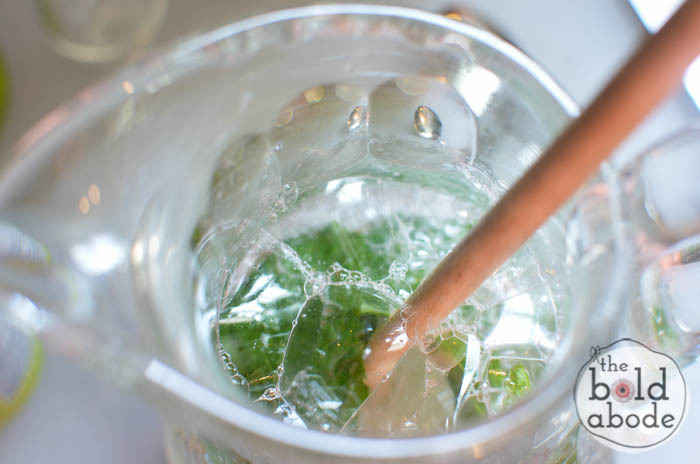 Next, transfer the lime/mint mixture into a larger container and add the sparkling water. Remember, the Stevia in the Raw tends to bubble a lot with sparkling water. Just a friendly reminder. Finally, pour and garnish with a lime slice and a sprig of mint. If you want to slip some Rum in, I’m sure that would be good, too. Just don’t tell anybody. Or maybe you should… at least your kids. That would be bad, now, wouldn’t it? But for me, we’re keeping it as a light and crisp water for all to enjoy. 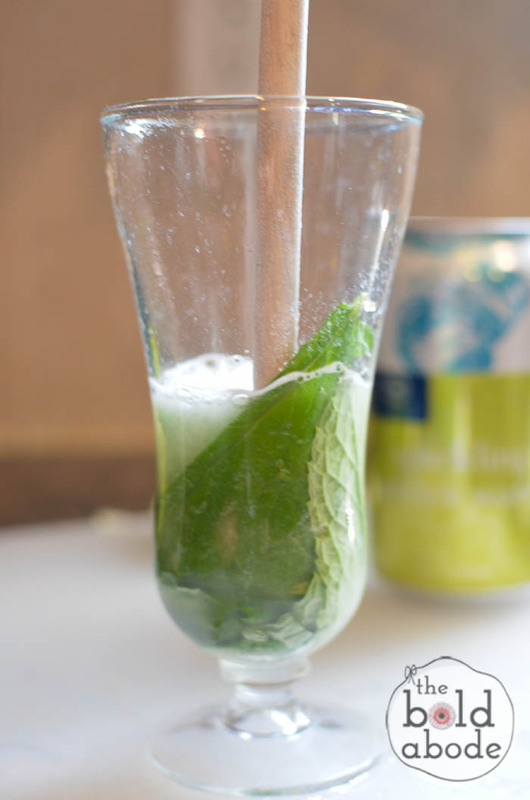 A simple mojito inspired sparkling water drink. Muddle mint and lime juice. That means stick the mint in the lime juice and crush it around to release the oils. 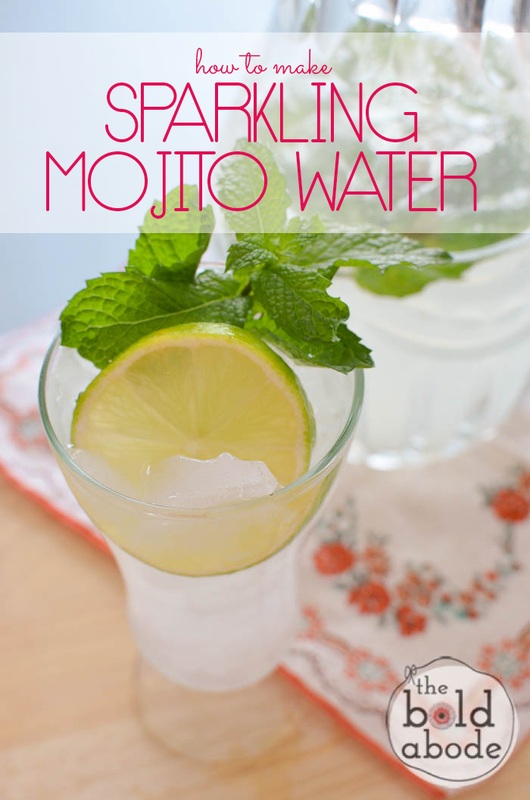 Move to a larger container and add sparkling water. 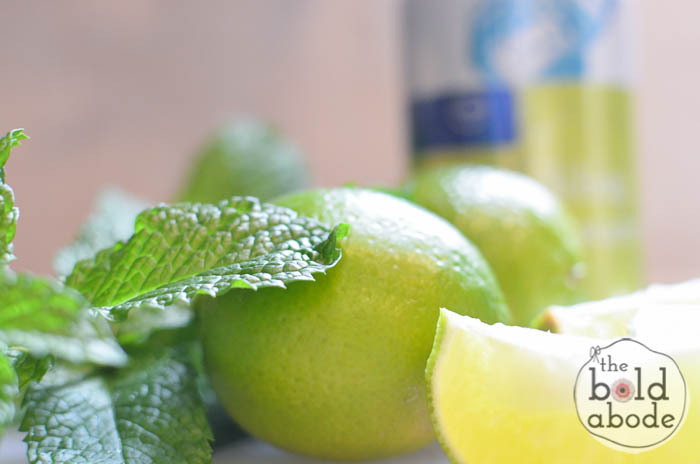 Serve over ice and garnish with a lime wedge and sprig of mint. Or just drink it all yourself. That's Ok, too.